Low-to-mid demand technical document printing, scanning, and copying system. Ideal for workgroups of CAD professionals requiring productivity and ease of use. Integrated cloud printing and scanning. Windows® Embedded Standard 7 controller. Color scanning speeds from 13 to 16.4 linear feet per minute. 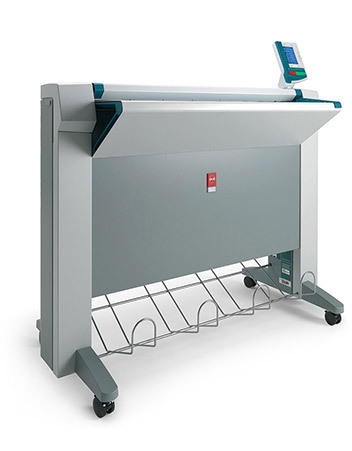 600 dpi with Océ Direct Scan technology (single camera, single mirror, innovative light source) for consistent results over long periods of operation. No warm up time, scanner instantly ready for use.